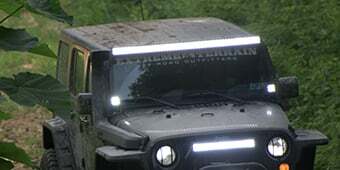 Please select options for Rugged Ridge Front Eclipse Sun Shade - Black (07-18 Jeep Wrangler JK) at the top of this page. Specs. Rugged Ridge offers this mesh sunshield as a practical and useful way to keep your Wrangler's interior cool. 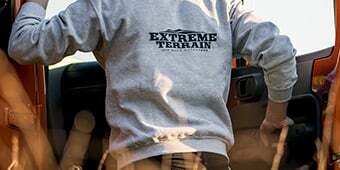 It's made out of a breathable but tough mesh fabric, and it will protect you and your Jeep from the sun while still letting you enjoy the outdoors. Construction. The sun shade works with both soft and hard tops, and gives you access to the top clamps with no installation necessary. 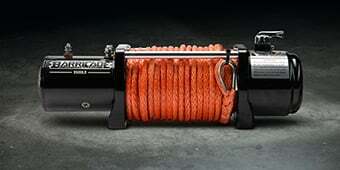 The shield installs quick and easy with a simple bungee ball. It includes a small mesh carrying bag for easy storage. Yes, once the sun shade is installed you would not need to remove it to reinstall your hard top. The sun shade will work in conjunction with a hard or soft top. You will want to remove your hard top to fully and properly install the sun shade. Can this Sun Shade be used across only the back seats in the Wrangler Unlimited? The Rugged Ridge Eclipse Sun Shade (07-17 Wrangler JK) is designed to fit the front portion of the Jeep and may not fit correctly on the rear, due to the different shape the rear section has. 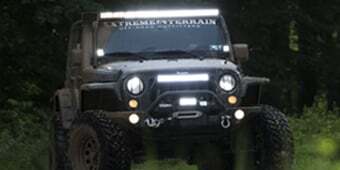 I would recommend looking into a full sun shade like this https://www.extremeterrain.com/rugged-ridge-eclipse-shade-jk-1357905.html for your JKU. 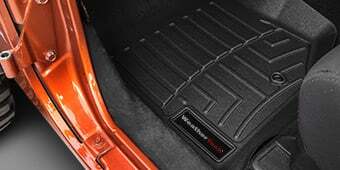 Rugged Ridge Eclipse Sun Shade How are these for leather seats? I have leather in my Rubicon and would hate to have the sun fade them. The Rugged Ridge Eclipse Sun Shade (07-17 Wrangler JK) works well to provide shade from the sun when you have your soft top down or your hard top off. The sun shade is not designed to protect your leather seats from fade or sun damage. If your looking to protect your seats from fading or sun damage I recommend either treating your leather or purchasing seat covers. Will this work with the soft top on? Can you still flip the top back? This will work with the soft top on, and will allow for you to flip the top back, however doing so will be more difficult due to limited space. Loved that the screen keeps the sun out and minimizes wind but still allows air flow. I'm really struggling with how to make this review fair. Almost everything about this sun shade is perfect, from how well it fits the profile of the Freedom Top opening to how well the product seems to be made, but there was one issue that makes it not so great. During the install, the front-mid passenger bungee that goes from the middle footman loop to the passenger footman loop broke when trying to get it to connect. It's due to a design flaw because the mfg didn't account for the fact that the middle windshield footman loop is NOT in he center of the windshield, but set about 2in off-center towards the driver. This means that the bungee that should make the sun shade taught on the passenger side is not long enough to reach and will break as mine did. Love the sun shade. It helps to reduce direct sun into jeep. Easy to install. Stays on even when soft top is closed. Bungi chord ends don't seem to hold up. have lost two. the top as a whole does a great job but fit was a little off. Keeps just enough sun out so you don't burn to a crisp on those hot summer days. Installs easy looks cool and did what it was supposed to do for me! Easy to install, and does good job of sun screen. I like that it can stay on with hard tops on. Although all the attachment points are pulling the shade very tight, it does fit as tight as the picture would indicate. Overall good product. Love the sun shade. Easy to install and cuts down on some of the wind. Does a good job a blocking the sun. Lets just enough in. Not too difficult to put on. The bungee cords are tight but need to be to keep the shade in place. The freedom tops did not want to go back on with the shade in place so we had to take it off. After removing my freedom tops from my new Wrangler I knew that I'd need some some sort of shade. 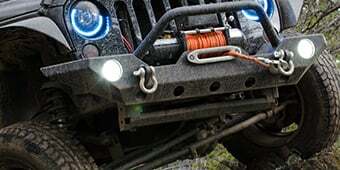 I purchased the Rugged Ridge Eclipse Shade as a solution. It was easy to install and has held up to a lot of use under various conditions amd road speeds. It keeps my head cooler and shaded under the hot summer sun. Easy to use and built well. The perfect half sun shade. Well fabricated and easy to put on and take off. Love the way this shade works. Sure helps keep the sun off but get fresh air. 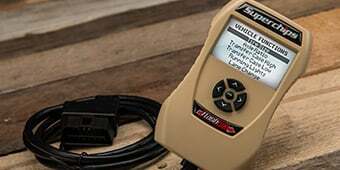 Easy install and goes perfect with your Jeep ! You can also keep it attached when t-tops go back on ! Highly recommend! This is just about the perfect sunshade. The fit was perfect and installation was a breeze. I don't understand the people having to loosen the hardtop. I just slid the rear bands between the hardtop and cross bar. Just be careful and it takes about 30s per side. Total installation time (including freedom top removal) was less than 5 minutes. The screen gives just the right amount of sun blockage. The shade holds tight and does not flutter or flap even at 60 mhp. And it tames the wind just enough that I don't lose my baseball cap at high speed. I should have ordered one of these the minute I got my jeep! Easy to install and blocks out the Texas sun with great shade. Very easy to install. Wrangler is cooler and somewhat quieter. In southern Louisiana our summer days can get quite warm with a hot sun beating down on you. This helped a bunch! It does cut down on some of the sun, but not as much as I expected. Does cut down on the wind blowing on top of your head. Not quite as tight and flat as I had expected...has a little droop. I will run it for now, but will look to a different manufacturer next time.